You are currently browsing the tag archive for the ‘Sahara’ tag. Welcome to Ogden Marsh, population 1,260, and dropping. I’ve got to tell you, this is one hell of a movie. It hasn’t even opened nationwide yet, and I’ve already seen it twice. It’s a remake of a 1973 George A. Romero film of the same name. I haven’t seen the original, but I’m now really looking forward to checking it out very soon. George A. Romero was an executive producer on this new version as well, which is always a good sign on a remake. 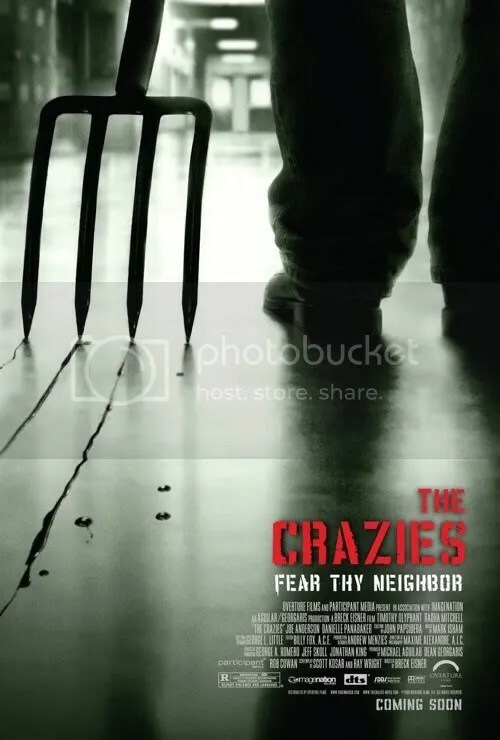 The one thing I would however advise you to do before seeing The Crazies, is to not watch all the trailers for the movie before seeing it. 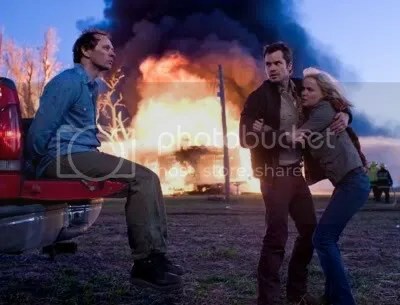 The one that I have posted at the end of this review is safe, but this is truly the type of movie that the less you know going in, the better. The second time I went to see it, I brought Shady with me, who watched the trailer right before going, and he said it totally ruined it for him. Now this was months ago, so the trailer he watch was the first trailer they released, and they have since stopped showing it for just that reason. The new trailers are a little bit more vague, but it’s still better to just go see the movie with absolutely no spoilers. Now, this is where I would normally tell you what the movie is about… But, how can I do that, when I just told you not to watch any of the film’s trailers? Okay, here’s what I feel I can tell you… This is not a zombie movie. Most people hear George A. Romero, and instantly think zombie, which they damn well should! However, this is not about zombies. In this movie, it’s more like a virus with zombie type symptoms. Unlike zombies, the infected in this movie don’t want to feed on human flesh, or hunt in hordes. No, it’s more like a creepy, calm, empty rage, which on film is way scarier than it sounds. Trust me. 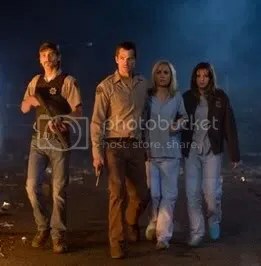 The Crazies takes place in a small Iowa town just outside Cedar Rapids, where Sheriff David Dutton, played by Timothy Olyphant, tries desperately to save his wife and town from a sudden virus, and at the same time a government quarantine. That kind of sums it up quite nicely, and spoiler free to boot. I really liked this movie. You can even tell when you’re watching it, that the filmmakers, really knew what they wanted to do with this project. At no point does it try be something it’s not. It’s just a nice clear-cut story that is brilliantly directed by Breck Eisner, and is a perfect example of what I would consider an outstanding movie. Which is shocking because Eisner, son of Michael Eisner, also directed Sahara. What I think really does work for this movie, is that it has this “little movie that could” feel to it that definitely adds to its charm, much like one of my other absolute favorite movies, Feast. If you have not seen Feast yet, shame on you! More on that some other day, but for now back to the movie at hand. The Crazies really does do a wonderful job of mixing the suspense and tension in the film, into a fantastic horror cocktail. The scenes in the funeral parlor and car wash are just so good, truly classic horror movie moments. I can almost guarantee that I will be seeing this again in the theatre real soon. It’s just simply a fun ride. So, to all of you reading this right now, do yourselves a favor; buy a ticket, and take the ride. You’d be crazy not too.